This is Big Red. 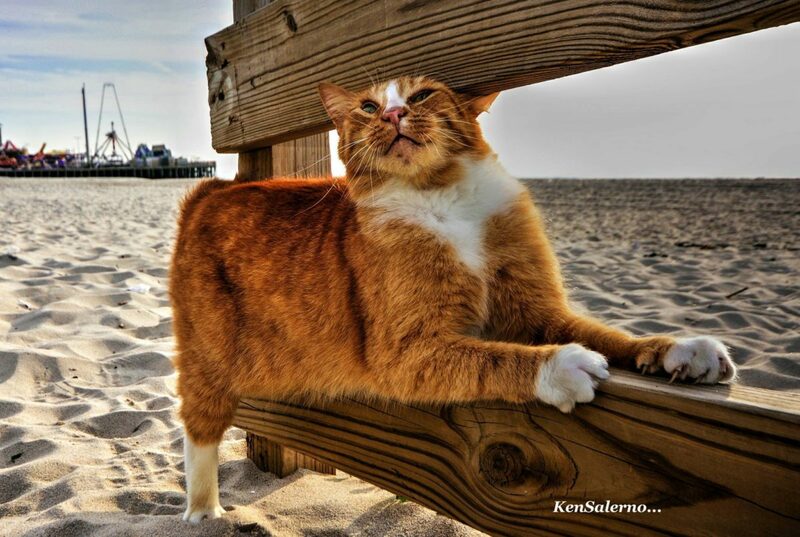 Big Red is a community cat who lives in Seaside Heights, NJ. In June of 2016, PETA asked the mayor to round up Big Red and any others and kill them. This is not surprising. Not only does PETA itself kill roughly nine out of 10 animals it takes in every year, including healthy puppies and kittens. Not only does PETA itself round up to kill animals. But it specifically targets healthy community cats for destruction. In 2015, it rounded up cats in the neighborhoods surrounding its Virginia-headquarters and took them to local shelters for destruction. Among those killed in Virginia Beach were community cats as young as six weeks old, two six-month old kittens in “good” health, an eight-month old kitten in “good” health, and a 10-month old also described in “good” health. Eleven of the 17 cats killed were one year old or younger, five were between two and three years old, and the oldest was only six years old. The same occurred in Norfolk, VA. Among those killed were cats and kittens whose condition is listed as “minor,” “feral,” “underage/underweight,” including lots of two month old, three month old, and four months old kittens who needed socialization, but were otherwise healthy. That is why it is no surprise that PETA is applauding the decision by the mayor of Seaside Heights, NJ, to end the city’s support for community cat sterilization and urging the city instead to round up the cats and take them to local pounds. Learn more about the Seaside Heights cats by clicking here. For a copy of PETA’s letter, click here. Learn more about community cat programs by clicking here.